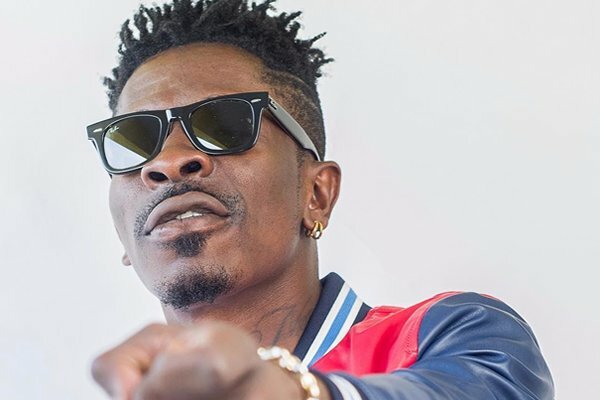 For reasons unbeknownst to many, some persons have accused Shatta Wale for being the artist who demanded payment from the Management of the late Ebony for her tribute concert – a situation that baffled www.entertainmentgh.com. Bullet, Manager for the ‘Sponsor’ hitmaker, made a scathing post, calling some Ghanaian artists hypocrites for demanding payment before mounting the stage to perform; and even without mentioning the names of the persons he was referring to, some followers of show business pointed to Shattta Wale. 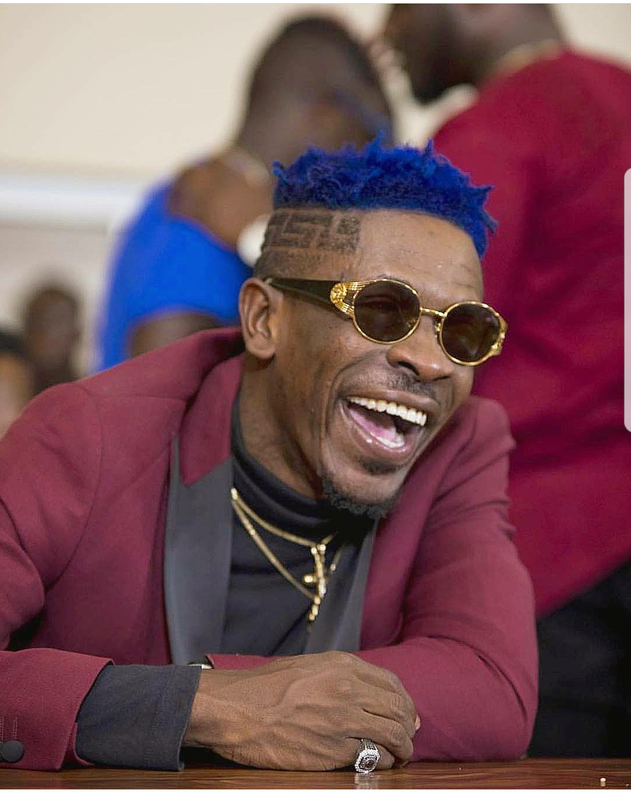 Putting clarity to the issue, Bullet, speaking to Andy Dosty on ‘Daybreak Hitz’ on Hitz FM, stated that, Shatta Wale is not one of artists who demanded payment. “It is not Shatta Wale. He cannot do that,” Bullet stated. He also refused to mention the names of such persons demanding payment, stating that, he would rather do that after the concert and the funeral. 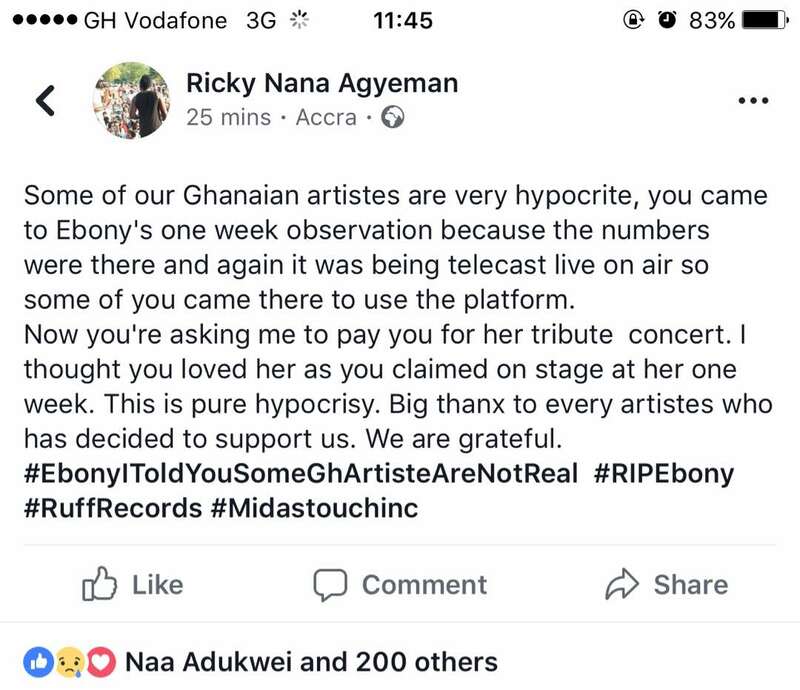 The gate fee of Gh10 for the tribute concert has also become a bone of contention and Bullet explained that, the fee is being charged to help raise funds for the family and to set up the Ebony Foundation that will cater to accident victims. 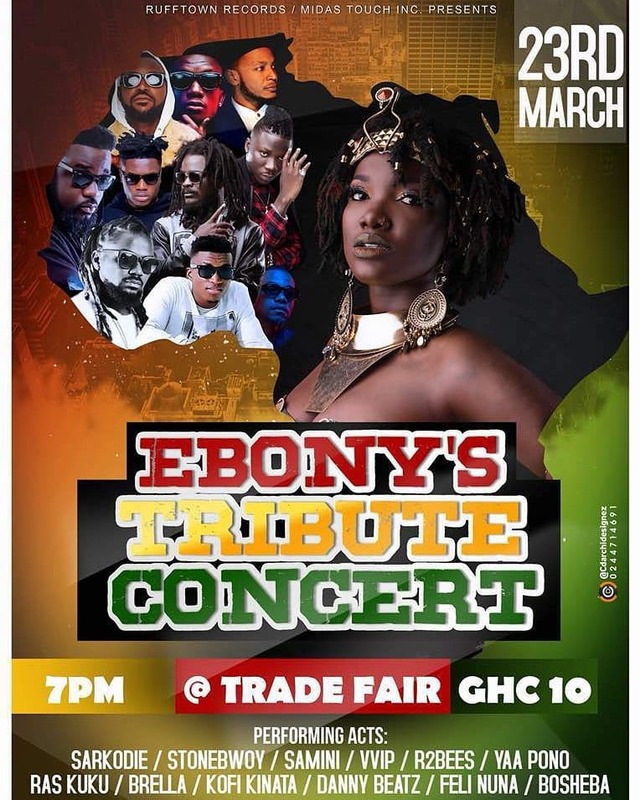 The Ebony Tribute concert is slated for Trade Fair, March 23 and the funeral for the State House, March 24.